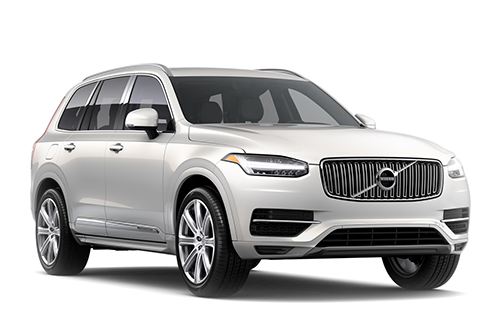 If you're looking for 21st century luxury and performance, the XC90 Plug-In Hybrid should be on your short list. This Plug-In Hybrid has a combination of a supercharged and turbocharged 2.0l Drive-E gasoline engine with an electric motor that powers the rear wheels. The T8 Twin Engine not only pumps out an astonishing 400 horsepower and 472 lb-ft of torque (total system output), but has impressive fuel economy of 62 MPGe. The Plug-In Hybrid can run up to 14 miles in electric mode and takes a little over two hours to charge. Standard features include Sensus Connect, Rear Park Assist Camera, 12-inch Driver Display, Apple CarPlay and USB Hub and Sensus Navigation. One feature that makes the Plug-In Hybrid stand out is the Crystal Gearshift Knob by Orrefors® that is handcrafted by Swedish glass artisans. The Volvo XC90 Plug-In Hybrid is the perfect companion for performance and efficiency. Fully charged the XC90 T8 Twin Engine Plug-In Hybrid gives you 14 miles of pure electric driving with zero emissions. The XC90 will consume less fuel than its rivals with larger displacement engines which results in lower CO2 emissions and large fuel savings. The gear shifter in the XC90 T8 Twin Engine Plug-In Hybrid is a symbol of the pure electric mode and is made of Swedish crystal by OrreforsⓇ. Spacious and elegantly upscale, the cabin details everything from leather upholstery and wood accents to a Sensus touch interface and 12.3-inch digital instrument display. With up to seven full-sized seats each designed with superior comfort, no one's experience is compromised. And when you fold down interior seating there's up to 85.7 cubic feet of cargo space -- enough room kids and all their gear. Regardless of the XC90 model you choose, you will receive standard features such as blind spot monitor system, back-up camera & rear parking sensors, Volvo On Call with engine remote start, a panoramic sunroof, leather seats with driver seat memory, Wi-Fi Hotspot with On-Board Apps and navigation with real time traffic.